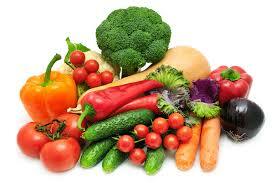 Are Your Children Eating Enough Vegetables? We all know that fruit and vegetables provide us, and our children, with a range of essential nutrients for optimal growth and wellbeing but are our children actually having enough of them? This is one of the more common concerns from parents coming to see me, as many children are not consuming the recommended serves of fruit or vegetables. Did you know that a recent National Nutrition Survey found that ~80% of children were not consuming the recommended number of vegetables? This is alarming as we know that (other than the starchy vegetables), vegetables tend to be low in energy but high in vitamins, carotenoids (a fantastic antixodiant), folate, vitamin C, potassium and magnesium. Top Tips for getting kids to consume more vegetables. Depending on your child’s age, you might have greater success with some strategies than with others but they’re all worth a shot. 1. Add vegetables to foods in disguise. One of the best ways to do this is in a tomato-based sauce like bolognaise, chilli con carne/chilli beans, pizza sauce etc. I recommend making a large batch of vegetable-tomato sauce and popping it in a food processor (to trick even those with a keen eye!) and then freezing this nutritious sauce in batches and using it as you need it. You can add lots of different vegetables to these sauces – tomatoes, carrot, celery, zucchini, mushrooms, sweet potato, spinach, brown lentils or kidney beans and the list goes on depending on what you have on hand. 2. Get your children involved in meal preparation and encourage them to touch and smell different vegetables without any pressure on them to taste them. Get them to touch new foods. Ask them to help put the different vegetables in the shopping trolley, or to transfer the vegetables from fridge to bench, or from chopping board to bowl etc. 3. Set a good example. Be sure to always eat vegetables in front of them and serve them every day, regardless of if they are ignored. Even if you only put one carrot ring on their plate, be sure to keep showing your children that vegetables are served with every meal and everyone around them is enjoying them. Carrots, celery, cucumber, capsicum, snow peas etc. are all great dippers. Have a few different vegetables cut up in the fridge ready to go for home time. 5. Plant a vegetable garden. Let your children decide which vegetables or herbs they might like to plant. Let them help with the care of the plants such as watering and feeding them (as appropriate) and ultimately picking them and hopefully then preparing and eating them. 6. Set up a reward chart to entice your children to try some new vegetables. Aim for 3-5 stars before getting a reward and make sure the reward is relevant to your child. Keep the rewards simple and as inexpensive as possible (we want our children trying new foods but not to the detriment of the holiday fund!). Sometimes a simple reward such as stickers, coloured pencils, a packet of footy cards or a trip to the park might be all that is needed, but ask your child what they would like as this will always motivate them best. 7. Keep a scrapbook using all of your unwanted junk mail/old magazines to keep track of all of the new foods that have been tried. Make an activity out of the whole exercise. Get them to cut and paste, or draw if they are able to, pictures of all of the different foods they are trying. Take this book out with you when you visit friends and relatives and show them how proud you are of all of the new things they have tried.